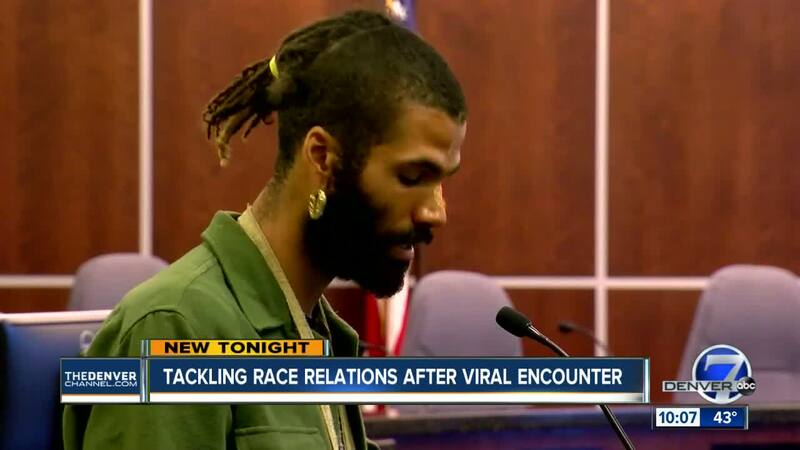 BOULDER, Colo. — The Boulder City Council announced it's launching an independent investigation into a police incident involving a black student. Zayd Atkinson was picking up trash in his yard on March 1 and was detained by police. He was eventually let go. The Boulder Police Department is conducting an internal affairs investigation. Atkinson said the Boulder Police Department cannot police itself. Though former Boulder DA Stan Garnett was initially chosen Monday evening to oversee the independent review and internal investigation, City Manager Jane Brautigam has instead asked City Attorney Tom Carr to work with attorneys for Atkinson "about alternative options for an independent reviewer," the city said in a news release Tuesday afternoon. Hundreds of residents showed up to a community meeting in the Boulder City Council Chambers Monday night. Many of the people who work for the city are also calling for action, not words. “It’s time for a 100-percent citizen review board. We have to protect the objectivity of community members on it,” said Amy Zuckerman, formally on the Boulder Human Relations Commission. “I ask the council to stop the talking. To stop asking people of color to tell you our stories and our trauma, and for the community to stop rationalizing away what we tell you and take action” said Nakhil Mankekar, current chair of the Human Relations Commission. The Boulder City Council said this would be the first of many meetings about the incident.